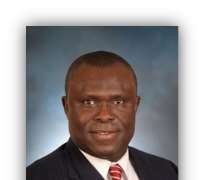 The Senior Special Assistant to the Governor of Akwa Ibom on Power, Dr. Victor Udo has lauded the privatization policy of President Goodluck Ebele Jonathan. Speaking to Journalist who toured the power sector of the state, Dr. Udo said the President is "doing a good job because power is a very critical aspect of transformation". He said "private sector investors will make sure power is supplied and once power supply is regular there will be more employment opportunities"
Dr. Udo who has over 25 years of experience in the Power sector said "the road map that the President is leading the country is the right way to go"
He further commended the President for the ongoing construction of a switching yard in Ikot Ekpene LGA in Akwa Ibom state. He said "Ikot Ekpene being the first Local Government Area in west Africa is grateful to have such a strategic electricity transmission asset"
According to Dr. Udo, "with the construction of the switching yard at Ikot Ekpene, power generated from Calabar, Alaoji, Afam and Ikot Abasi will be transmitted to the Northern part of Nigeria through Enugu on 330Kv lines". The Senior Special Assistant added that "in the Power sector, His Excellency, Chief Dr. Godswill Akpabio is modeling His Excellency, Dr. Goodluck Jonathan at the federal level"
Substantiating his statement, he said further that "Akwa Ibom state did not only support the privatization policy of the FG in words but participated in the privatization process"
He explained that "the state government collaborated with neighboring states known as the "BRAC" states (Bayelsa, Rivers, Akwa Ibom and Cross River) to form 4 Power Consortium and acquire Port Harcourt Electric Distribution Company" (PHEDC). Dr. Udo who holds a PhD in Urban affairs and Public Policy from the University of Delaware concluded by saying "the beauty of federalism is that the states are the federal units that make up the country, therefore when the state succeeds, the federation succeeds also".